Hello fellow Citizens! 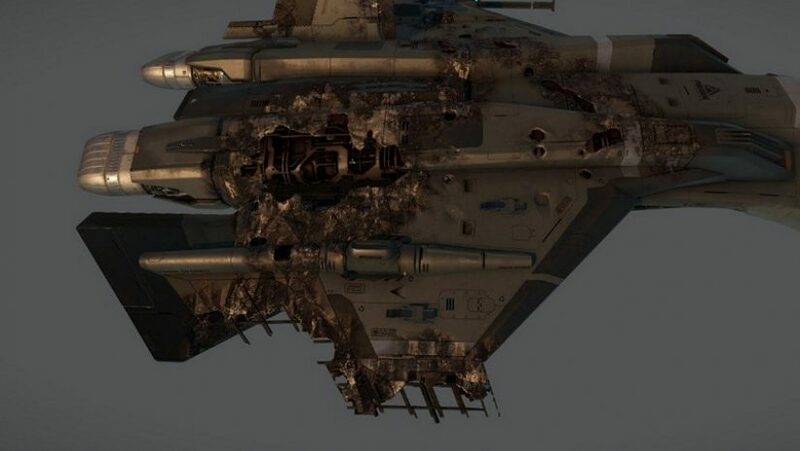 Ship damage in Star Citizen has just taken a massive leap forward. Those are the key, and amazing accomplishments of the new damage system for Star Citizen ships. The first of the ships to receive this treatment are the Gladius, Retaliator, and Gladiator. The Gladius is currently flyable in the Star Citizen 1.1.0 PTU. When Star Citizen 1.1.0 goes live, likely this coming week, owners of the Gladius and those flying with or against owners of the Gladius will be able to see this themselves. I’m really very impressed by the ability of CIG to come up with a truly beautiful damage state system that also saves on development time and improves performance, it is truly a big win for the future of the game. What’s even better is… they’re not done. There are several features still to be added to the system, as is the case with all things in Star Citizen. Using these four damage values [temperature, burn, thickness, and deformation] we can make the hull glow with heat, make paint burn and bubble, peel paint off to expose the underlying metal, dent and deform the surface, and even cut holes through the hull to expose the internal wiring and mechanics. Rather than the internals of the ship only being modeled in specific locations we now model the internals under the vast majority of the hull. You might expect this would involve a lot of work for the artists, but they’ve come up with several methods of adding these internals very efficiently and the overall damage state setup is now significantly quicker than before.